50ticks came to an end on 6th June. 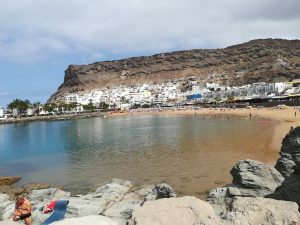 I had a great birthday followed by a lovely holiday in Gran Canaria again. It has given me a chance to recharge my batteries: the last two weeks of the challenge were very intense and I really didn’t know if I was coming or going! I already had an idea of what I would do with my blog so here is the big reveal. Whilst completing the challenges, I certainly found a lot of things I enjoyed and also found I needed to cut a few things down to fit everything in. 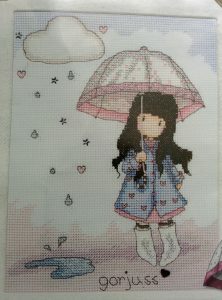 My completion of my cross stitching kit renewed my love of the hobby and I am planning on spending two hours for five days a week, stitching. Reading has probably been a bit of a casualty. I am still enjoying reading but probably being a bit more select now. I will hopefully get through the library on my Kindle sometime. The challenges that stretched me sometimes were the cooking and baking challenges. I have a pasta machine which I do plan to use regularly. I realised that choux pastry was quite easy. Even when things went wrong, I did find that it was “fun” trying to correct it. 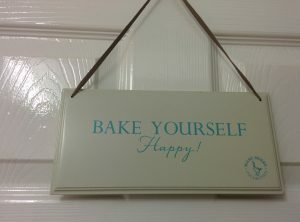 These challenges made me realise that cooking and baking is my release from life’s daily routine and stresses. 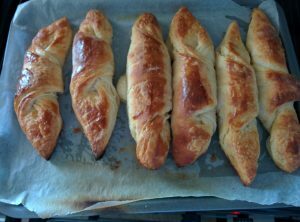 I might have found making croissants a little bit stressful but it was a good feeling when the family tasted them and said “they were just like croissants” ! 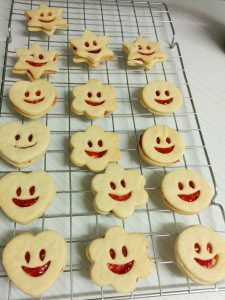 Making jammy dodgers were so much fun on a beautiful winter’s day. I decided to keep with my 50ticks for my theme of my blog but this year it will be around cooking. 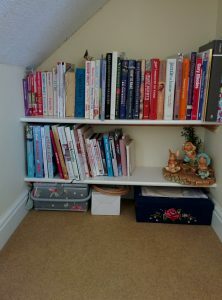 I have shared my wonderful cookery book selection and have to admit that some of the books haven’t been used. I am going to try to cook/bake 50 different recipes using the books I have. Along the way, I want to try different recipes and methods to find the best Victoria sandwich(I actually do like the one I use but different methods do change the texture), try to perfect pastry, create a set weekly menu (meat free Monday and maybe fishy friday) as well as trying 12 dishes I would like to cook (I love lemon meringue pie but I have tried twice unsuccessfully to make this). A bake from my past and one I remember my Grandad baking was cream horns. I was reminded of these by my uncle a few weeks back and thought these would be great to share with my own family. A lot of jam will go in mine! 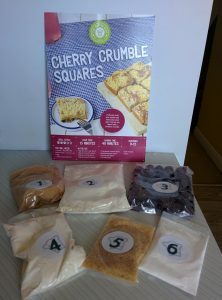 I have carried on with my baking club subscription so will also share the boxes I receive. I have thrown away the scales (well I refuse to get on them anyway), and know that I have increased my weight because my trousers are a bit tight so to begin with I plan to find some healthy recipes. Eating sensibly along with a good fitness routine should be all I need. 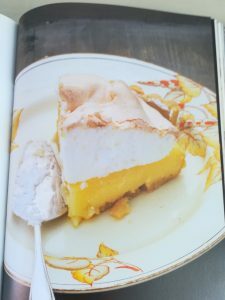 I did have two recipe books for my birthday:, one is about the Ritz teas. Kathryn bought me that as it was a challenge to go there. 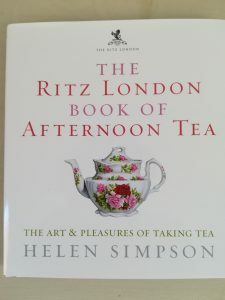 The price was a problem there but this little book tells me about the history of the Ritz teas plus different afternoon teas . I will try some in a few months. 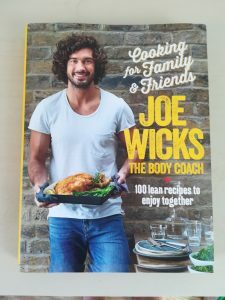 The other book, which should be very useful at the moment is Joe Wicks new book, Cooking for Family and friends. Joe is the big name at the moment to tone up and lose weight. Jordan has all his other books and recipes are good so I am looking forward to trying this one. I’m looking forward to taking on this challenge and hopefully will be able to share lots of successful cooking and eating experiences over the next year.